A successful business or corporate event begins with the right venue. Let In Tents Events provide your company or organization with the perfect steel-framed tent to accommodate any group of any size. 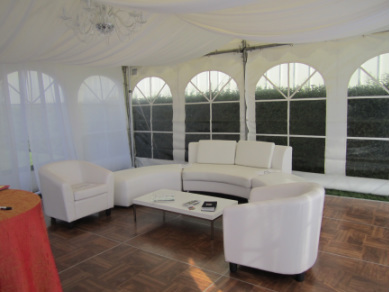 Our tents are ideal for outdoor corporate meetings, cocktail parties, presentations, and employee training. With more than 20 years of event planning and execution experience, our professional team is abundantly experienced in working with the demanding standards of corporate clients and event planners. Our tents are clean, regularly updated, and expertly installed, and we are able to work with any budget and any scheduling requirements. Call us today to ensure that your next event is a perfect reflection of the high standards of your organization.